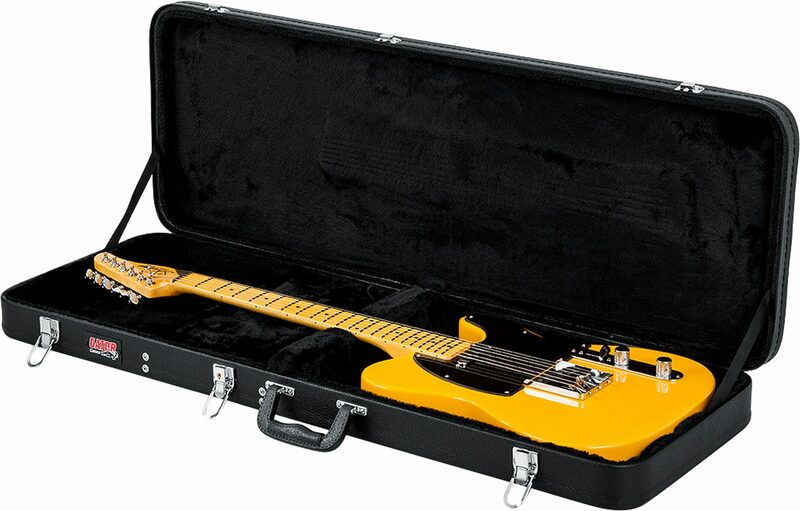 The Gator GWE-ELEC Hard-Shell Wood Case for Electric Guitars is lightweight, ultra-slim, and designed to protect against the minor bumps and bruises of daily use. 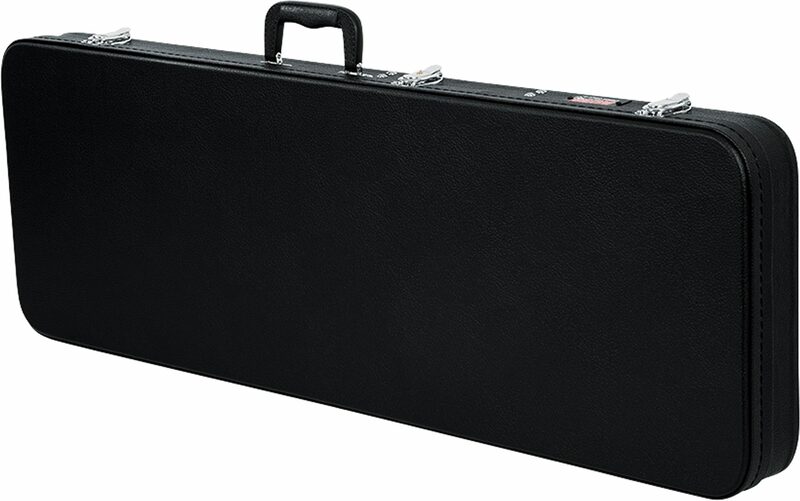 Ultra-durable plywood coated in black Tolex PVC forms a moisture-resistant, impact-resistant outer barrier while plush fabric lining keeps your electric guitar safe from harm. 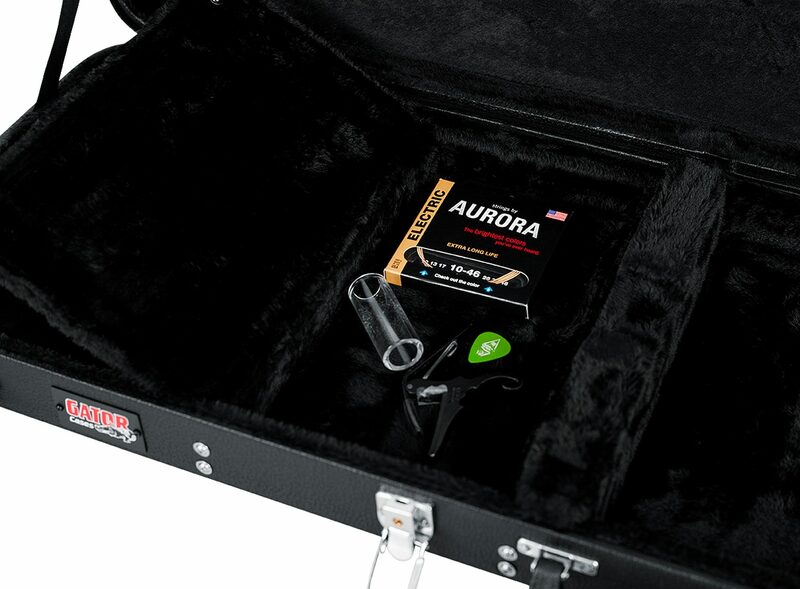 The large interior storage compartment fits everything from straps and tuners to picks and capos. 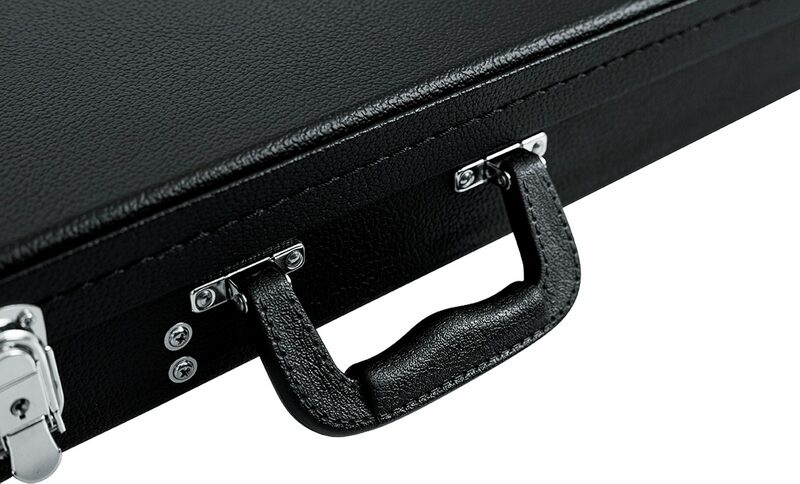 Chrome plated lockable latches form a secure enclosure and the ergonomic carrying handle perfectly balances the case's weight and gives you a comfy grip on your gear. 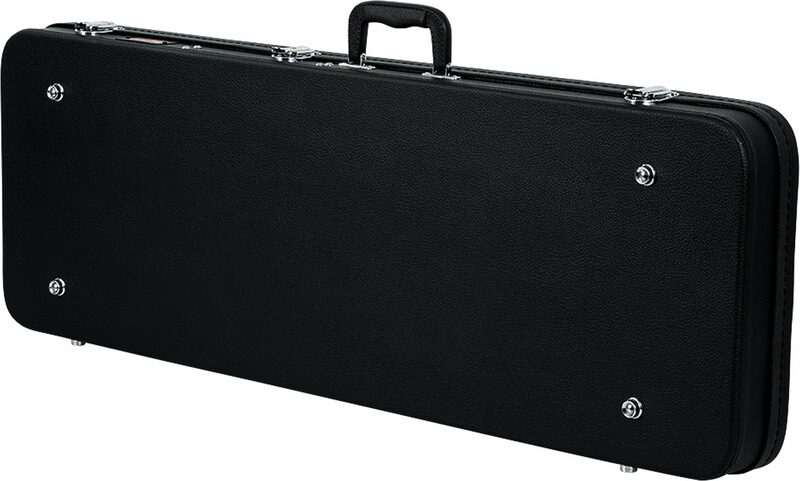 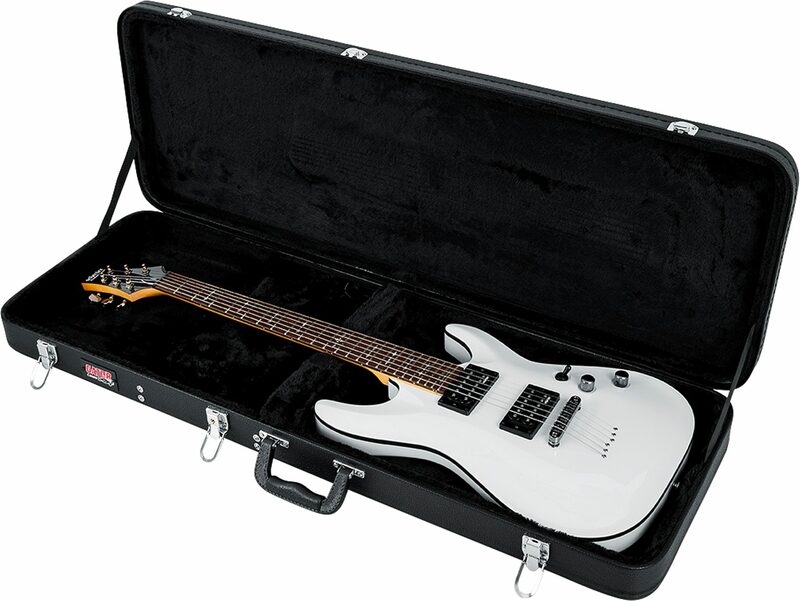 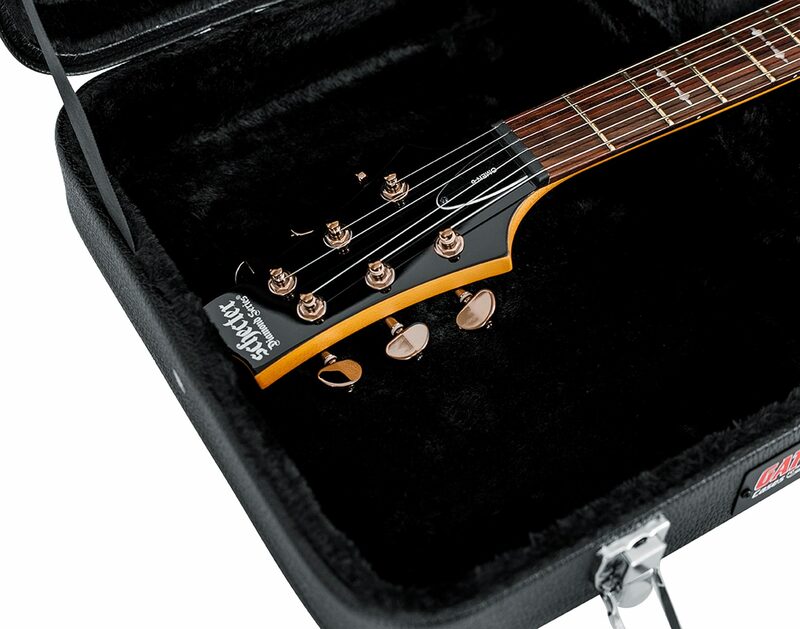 Keep your electric guitar safe and sound with the Gator GWE-ELEC hard-shell wood case. 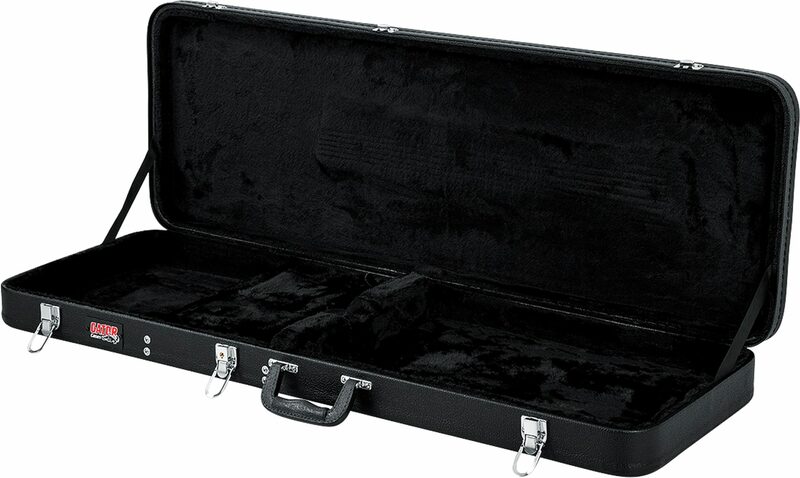 - Interior Body Length: 19"
- Interior Body Height: 4"
- Interior Lower Bout Width: 12"
- Interior Middle Bout Width: 12"
- Interior Upper Bout Width:12"
- Interior Overall Length 42.75"